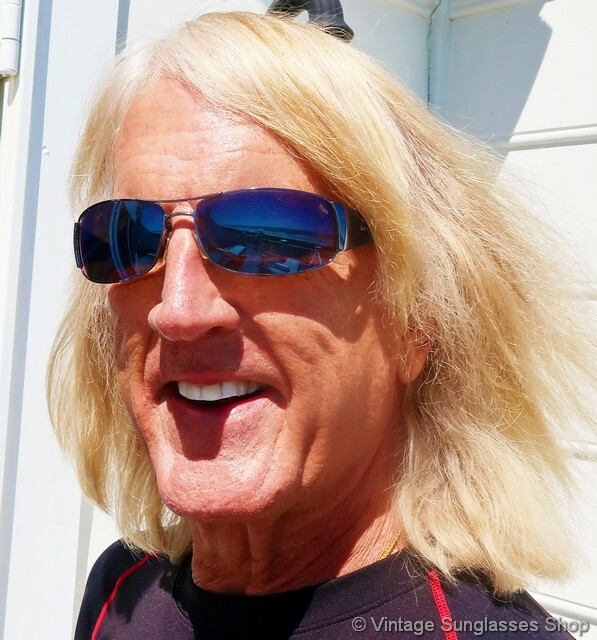 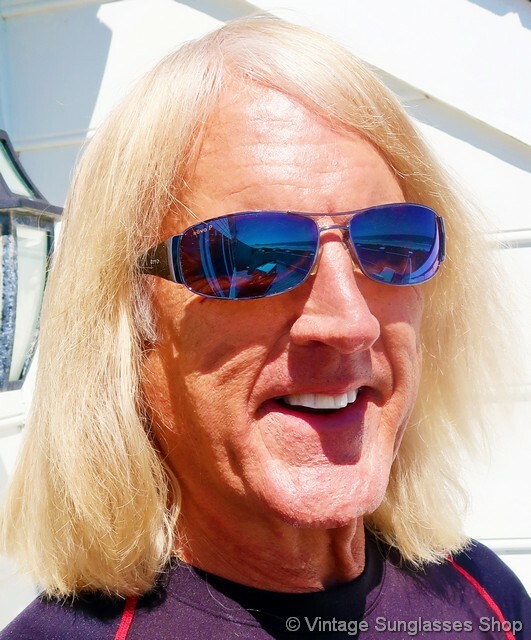 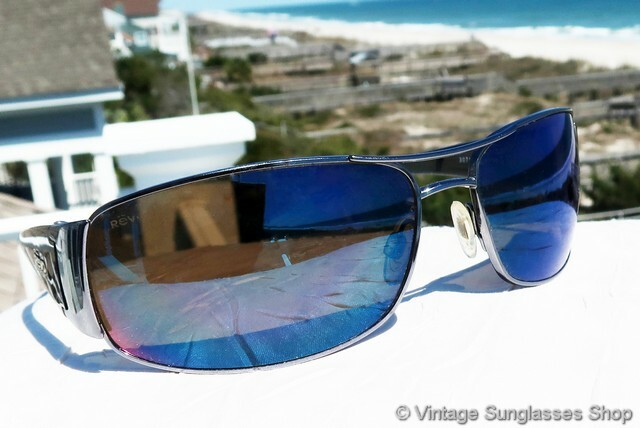 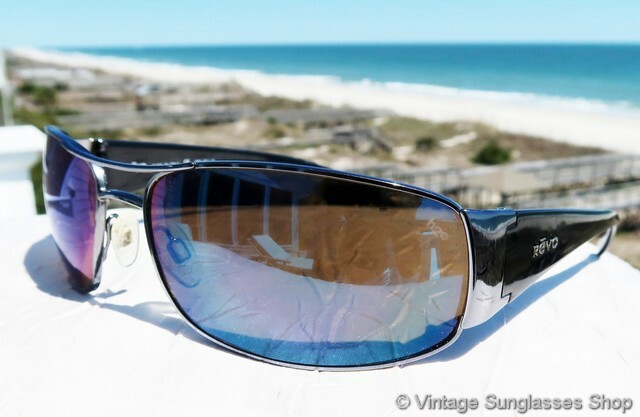 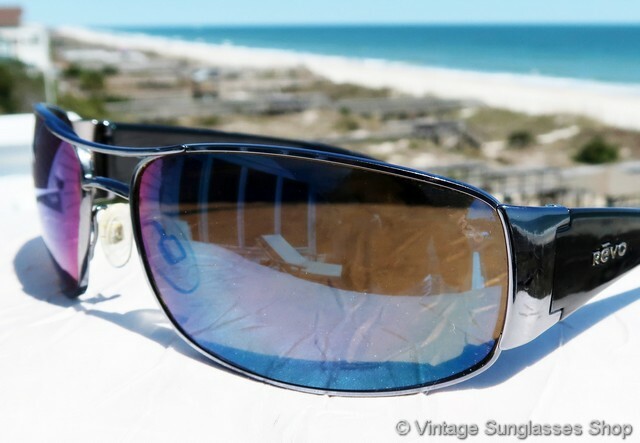 If you like wrap sunglasses but you want some design flair without the extreme designs of Oakley, check out these Revo 3071 089 sunglasses with blue mirror Revo P H20 lenses set in a gloss black and chrome Italian frame. 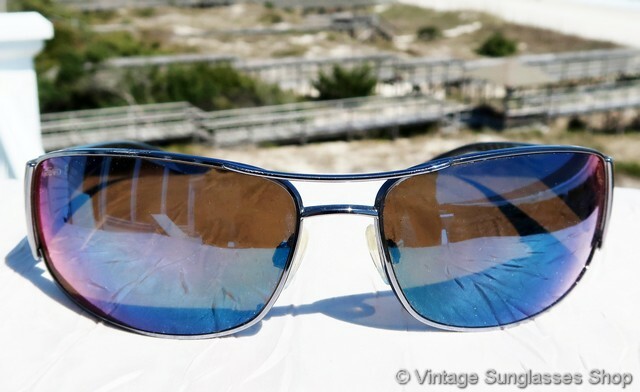 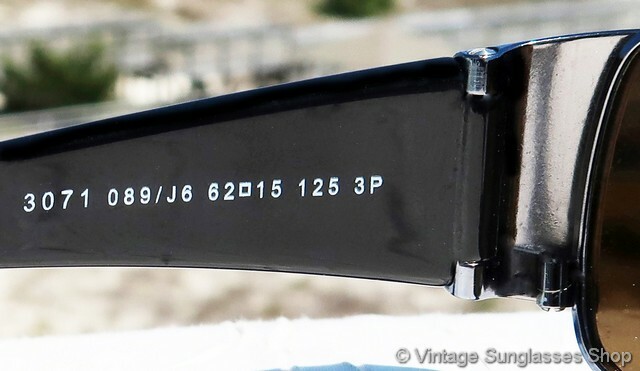 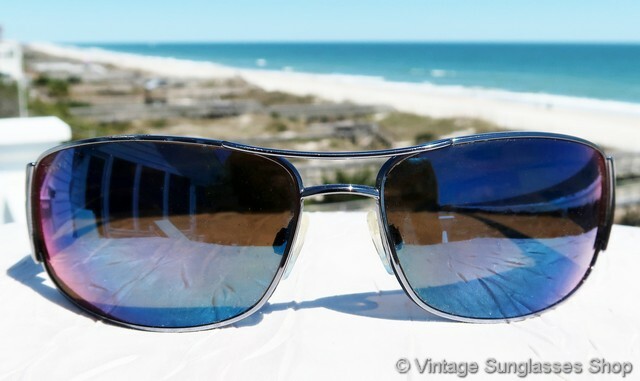 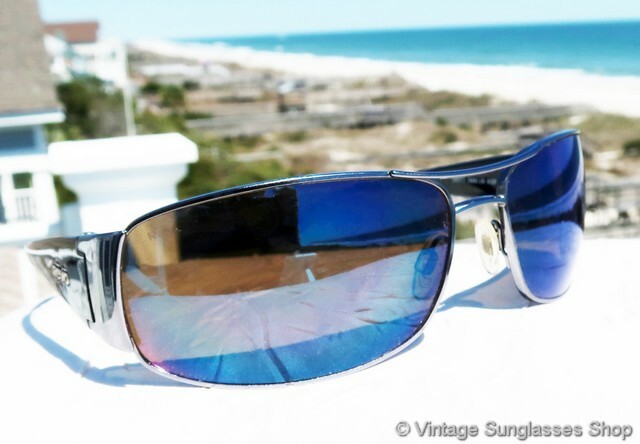 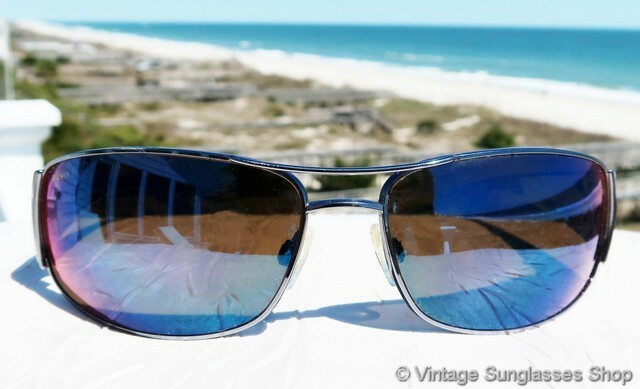 The black ear stems on Revo 3071 sunglasses are thicker than the norm for vintage Revos, and we think they really look great in the subtle wrap design and Revo blue mirror polarized lenses. 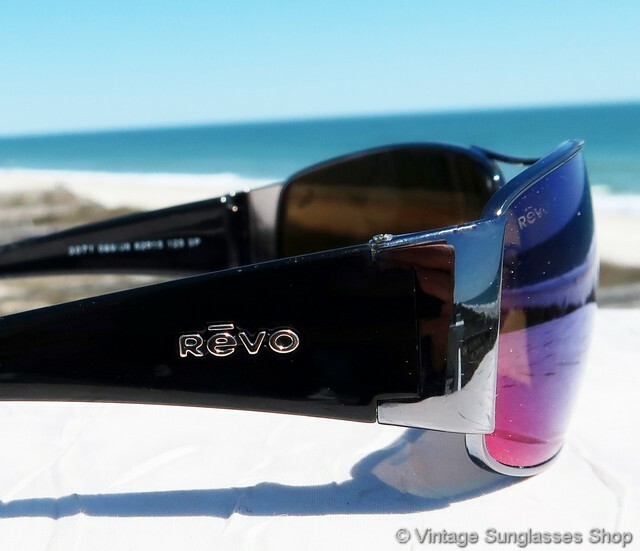 The Revo logo is inset in metal on the exterior of both ear stems, and the inside of one stem is marked Revo Made in Italy CE Polarized while the inside of the other stem is marked 3071 089/J6 62  15 125 3P. 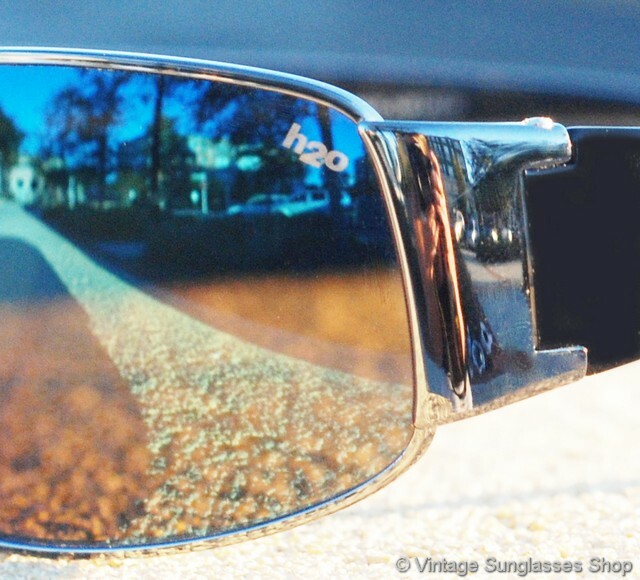 The right lens is marked Revo P while the left lens is marked H20, both signifying Revo's advanced polarization technique which enhances the hues of red, green, and purple in the blue mirror finish. 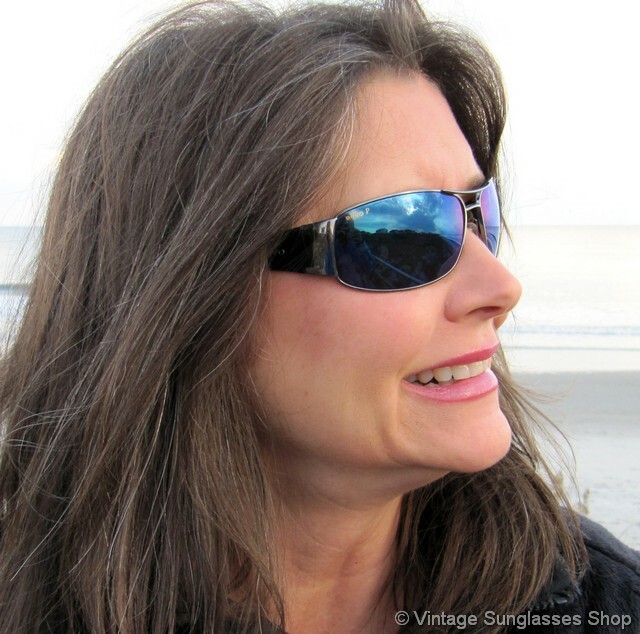 The frame measures approximately 5.25" temple to temple while the lenses measure approximately 2.375" x 1.5" when incorporating the curve. 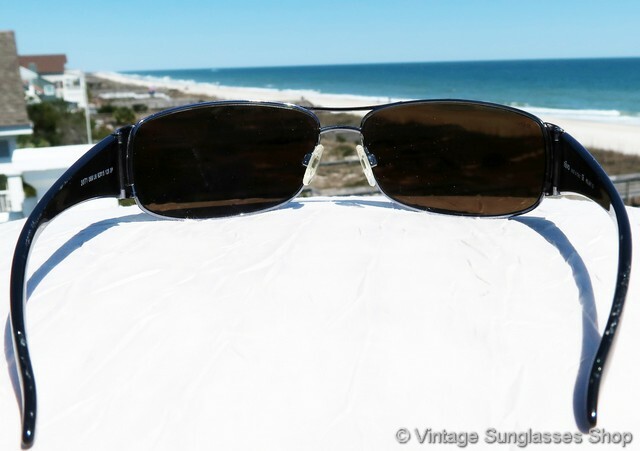 As a side note, it is very difficult to manufacture optical quality glass lenses with dramatic curves necessary for a wrap design, and Revo stands almost alone in the world in how they accomplished this in their vintage styles.